I met Des at the Malaysian F1 Grand Prix. 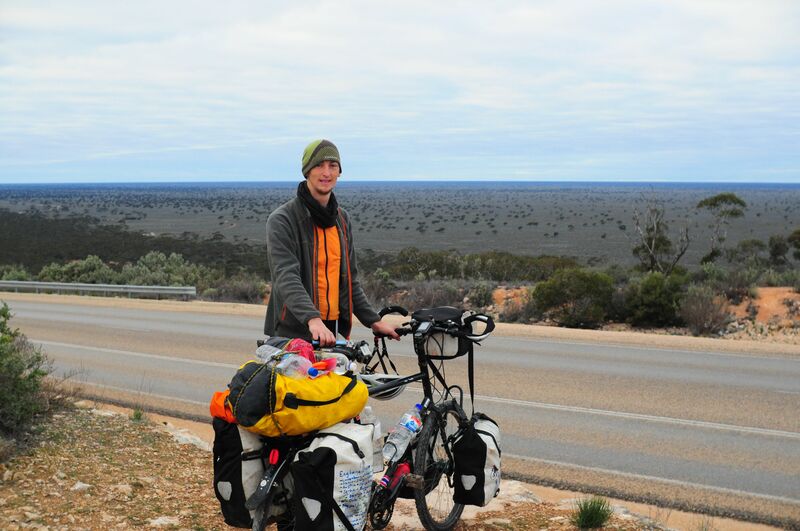 He had one of the most interesting travel stories of anyone I had met in Southeast Asia – he was in the midst of cycling from London, England to Sydney, Australia for charity. We ended up travelling through Indonesia together with a group of his friends from home, and the four of them turned out to be people I now consider good friends. James Desmond is 27 and from the Lake District, England. 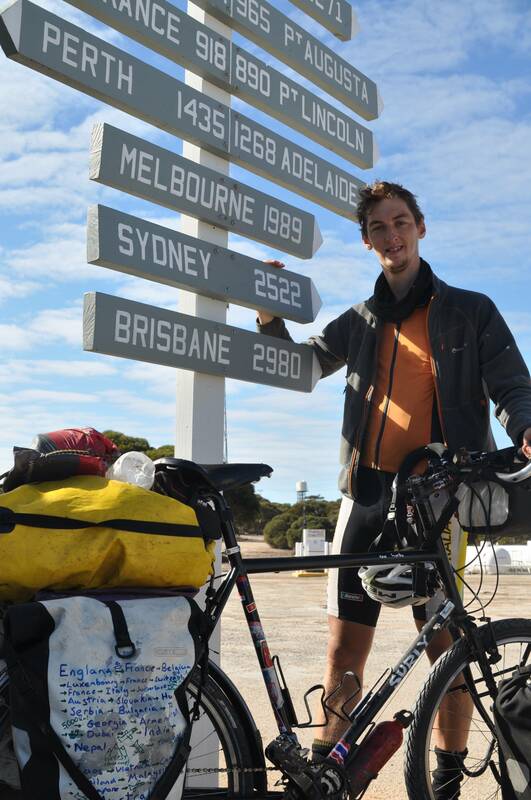 Having spent time backpacking around Europe and South America, as well as cycling from London to Sydney, James has travelled to 43 countries (27 by bike!) on five continents. 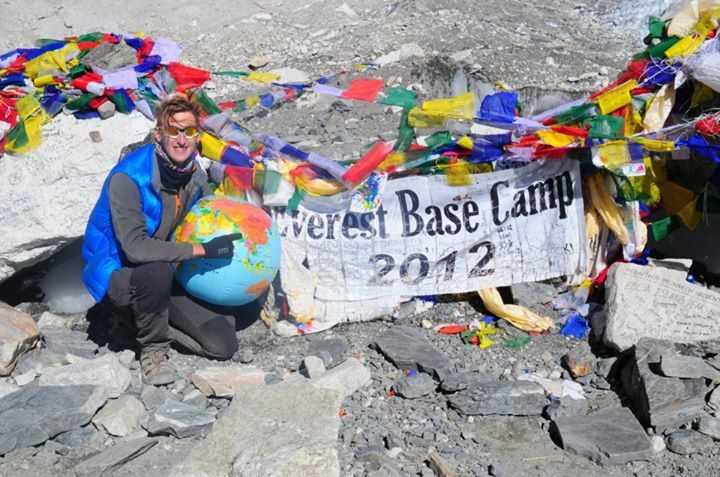 He now works for a school expeditions company planning adventurous educational trips around the world. What were your original motivations for doing Bike to the Future? Having previously backpacked around South America, I decided my next trip should have more purpose and provide a challenge to complete! After considering a few different ideas I settled on a cycle challenge to raise money for two supported charities. What did you have to do to prepare for this trip? I spent about six months researching routes and the equipment I would need. The most important thing was getting the gear (and the bike) right and knowing what needed to be done in advance, such as which visas I needed to get ahead of time. Everything else kind of fell in to place and it was good to keep things as flexible as possible. In terms of routes I had a rough outline of where I wanted to go and a few key points along the way, but the rest was made up from what I heard on the road. 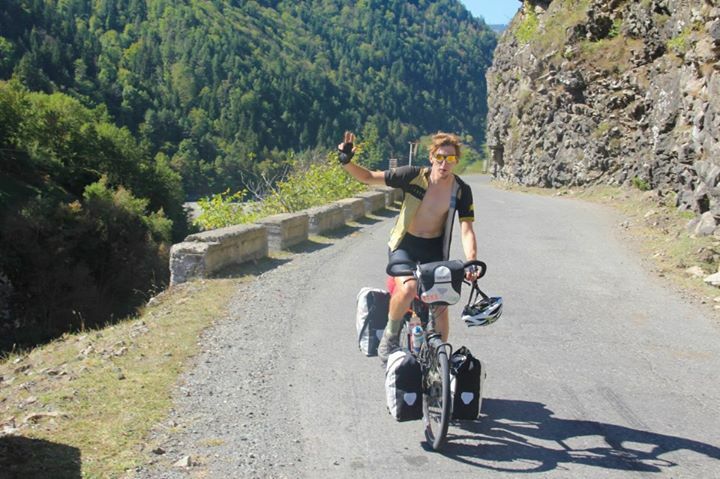 A common misconception about cycle touring is that you need to be fit (or even good at cycling), however, there are no rules about how far you have to cycle each day and you will quickly build up fitness! You raised money for Calvert Trust, which provides outdoor recreation programmes for people with disabilities, and SolarAid, which is helping to provide some of Africa’s poorest nations with affordable solar energy. Why did you choose these charities to support? I love adventure and the outdoors and the Calvert Trust, who are local to where I live, provide people with disabilities an opportunity to experience this for themselves. Whether it’s climbing in the mountains or kayaking on the Lakes for people who have never had the chance to try these things because of their disabilities. I believe these experiences can be very empowering, as I too have often used experiences from my travels and adventures to help overcome hurdles in everyday life. I heard about Solaraid through working in the environmental sector and they instantly struck a chord. Solaraid’s goal is to eradicate kerosene lamps from homes in Africa through distribution of solar lighting solutions. Imagine filling a baked beans can full of petrol and lighting this in your home for light; to cook, to study, whatever. As well as the obvious risks of explosion, the fumes from these burners in enclosed spaces are extremely toxic and causes very avoidable deaths. Some families in the countries Solaraid are working spend up to 25% of their income on kerosene to use this way. This problem has a very simple solution that utilizes something that is in abundance in Africa – sunshine! Donations of $10 can get a small solar light into a family home to replace the kerosene burner. Solar power is cleaner, safer and saves the families huge amounts of money. The power of light can make a huge impact on families, even activities like reading and studying would have to stop when it gets dark; just imagine all the things you wouldn’t be able to do without access to electricity! People who read the blog, or whom I met along the way, could donate online through my website using JustGiving – an online donation website. You did this trip solo, but were often able to meet up with other cyclists for some legs of your journey. How did you meet your fellow cyclists? The first long distance touring cyclist I met on the trip was in Istanbul. As I walked down the street I saw someone with the same specific touring bike as mine. I ran across the road and chased them down the street to say hello. As it happened there were more cyclists staying in their hostel and we all met up and had lunch. From that chance meeting I ended up cycling with an Australian guy for over a month through Turkey, Georgia and Armenia, a French guy through Iran for one month, another French guy through Thailand for two weeks and the same Australian again in Vietnam and Cambodia for another month. Other than that I used websites like Couchsurfing and Warmshowers – the latter being particularly useful for cyclists. Through these sites I met and stayed with local people and was able to find out specific information about cycle routes and more. Describe your route and time frame. How did you decide on this route? I set off from London in the summer before taking the ferry across to Europe. My route through Europe was dictated by meeting up with friends and taking in a few cities and sights I was interested in seeing. I headed south for the Alps to do some climbing before joining up with the river Danube to take me to the Black Sea. Passing through Istanbul I hugged the Turkish Black Sea coast all the way to Georgia. Moving in to Autumn, I crossed the mountains of Georgia before heading south through Armenia to Iran. 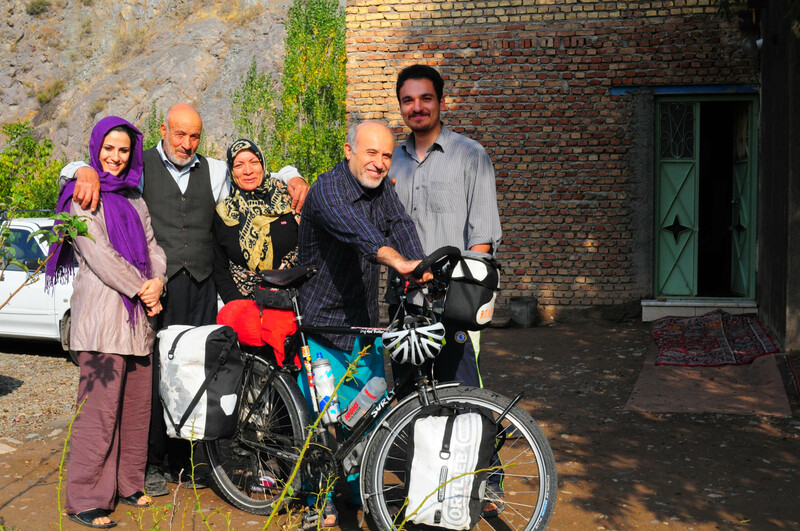 Cycling North to South it took one month to cross Iran and reach Bandar Abbas. From there my overland route was blocked by Pakistan, for which I could not obtain the visa, so I took a ferry across the Persian Gulf to Dubai and flew to India. 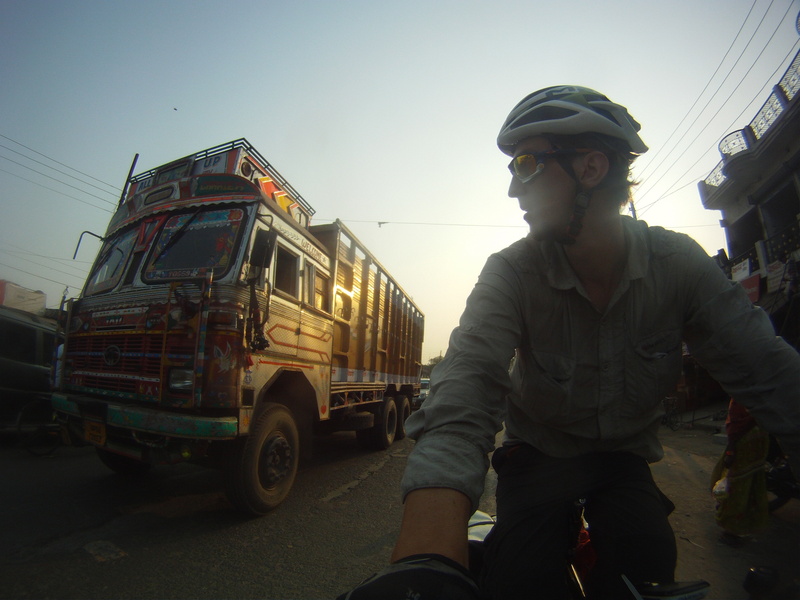 Continuing on my bike I cycled across the north of India to Nepal where I took a few weeks off the bike to trek to Everest Base Camp. After that I had to again fly to avoid countries I couldn’t get visas for and ended up in Bangkok. I cycled a loop of South East Asia, taking in Laos, Vietnam and Cambodia before continuing down Thailand and Malaysia. From there I took a break for a couple of weeks to travel with some friends in Indonesia. And from there I returned to Malaysia and continued on to Singapore. This time the sea blocked my route so I flew from Singapore to Perth in Western Australia. At this point I realised the size of Australia and it took me nearly three months to make the grueling crossing from the West to Sydney in the East to finish my trip. 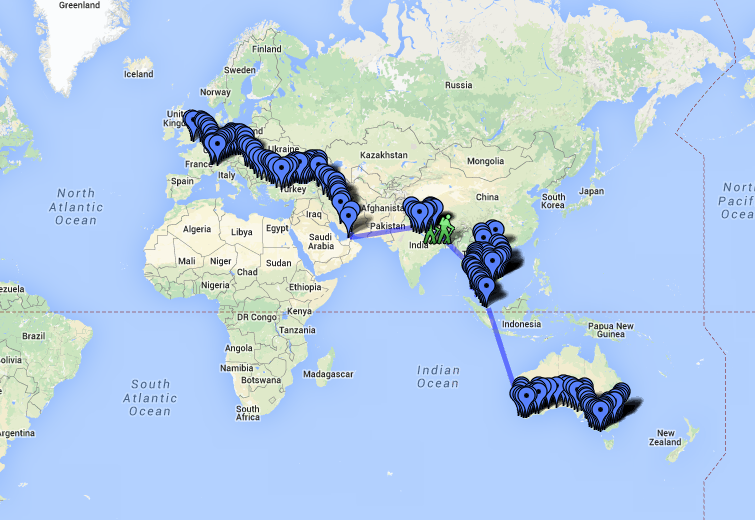 In total the trip took one year, cycling 21,000km through 27 countries. How much did your actual route vary from your original plans? What were the reasons for route variation? Not being able to get visas for certain countries forced me to make changes to a few initial plans. Other than that I decided on specifics when I got to places taking in to account things like the season, weather, time and how quickly I fancied a change of scenery or a new country! Pakistan was the visa I couldn’t get. The only way to get it is in advance in your home country, but even this wouldn’t be certain. I would’ve likely had to have used a specialist visa company who basically lie on your application with fake hotel bookings and flight details. If I mentioned on my application I planned to travel overland by bike it’s unlikely I would get the visa! 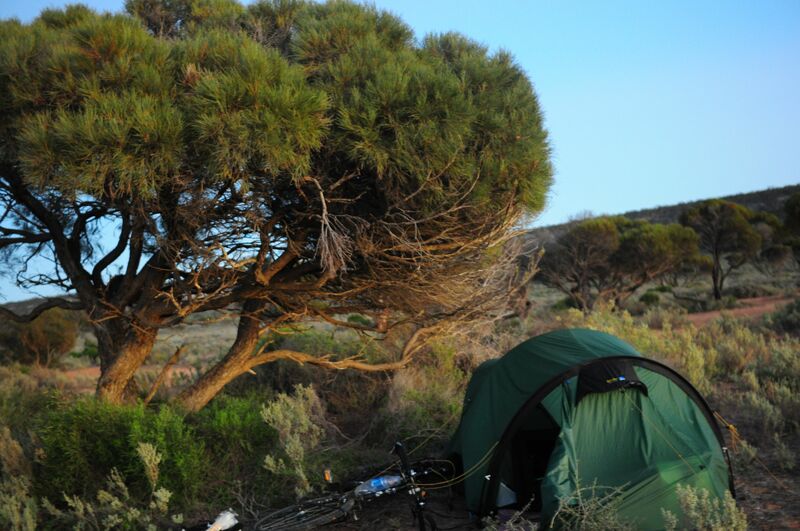 Wake up, eat, pack up camp, load bike, point myself in the right direction and start cycling. Sometimes I would be trying to push out big days and some days there would be things and places to stop and see, so how far and fast I cycled varied daily. It could be anything from 80-190km, usually aiming for something around 120-150km, depending on terrain and conditions – enough to make good progress while still allowing some time to stop and take things in. I would also have a couple of rest days per week, or even stay in some places of interest longer. I wasn’t cycling every day! If camping, I would need to stop before dark to scope out a good place to pitch my tent. Sometimes this could be hidden on the side of the road, alone in an incredible wilderness or even pitched in someone’s back garden! Cycling into the evening I often wouldn’t know where I’d be sleeping that night but I knew it would be an adventure! I had a stove to cook and would top up supplies in the last town of the day. In cities I would try to arrange a host through Couchsurfing or Warmshowers, which would be a great way to meet people. It was always nice to have a roof over my head, good company and a hot shower! A year on the road obviously costs a lot. What are some ways you saved money? A year on the road may not cost as much as you’d think, especially compared to the typical cost of a week’s holiday say. With a tent and a stove you can be pretty sufficient and stick to buying local food, which not only keeps the costs down but is one of the best aspects of travel! Whether its searching out the back street restaurants in Bangkok or living off croissants and baguettes in the French countryside, there are always cheap ways to get by. What kind of bike did you ride, and what were you carrying with you? My bike is a popular steel frame expedition bike – a Surly Long Haul Trucker. It trades off a heavy weight for great strength and durability. Attached to the bike were five panniers with everything I needed to live on the road for the one year; from my tent, stove, clothes, camera, laptop, etc. All in all the bike with the luggage weighed about 50kg, which made for hard work pedaling up the mountain passes! What are some things that you could not live without, on your journey? iPhone – I’m afraid to say I’m pretty reliant on my phone. I used it for maps, photos, to update Facebook and my website as I went. Powermonkey battery pack – to keep my electronics alive on the long stretches! My giant inflatable globe – for photo ops and showing my route across the world. What are some of the common problems you encountered? Eating enough food was sometimes difficult. I was burning nearly 5000 calories a day and finding quality food to fuel me along was nearly impossible in some countries. Luckily I didn’t have many problems with my equipment. The bike held up very well until the final leg in Australia where I had to replace a few of the moving parts. Keeping stuff charged was sometimes a hassle but using a powermonkey battery pack i could keep my phone and GPS charged for four or five days in between electricity top-ups. What was the scariest thing to occur on this trip? Being chased off a farm in Turkey by a farmer and his dog shooting in our general direction. Which aspects of this trip were the most difficult? There were a few tough times on the trip. India provided the first real test of will. Despite the huge numbers of people everywhere, and I mean everywhere, India was the first country I found interaction with locals difficult. People would often stare and watch me wherever I went but not respond when I said hello or waved, which often made for strange and awkward encounters. I guess this is normal when visiting India, especially looking as out of place as I must have, but constantly being the centre of attention for days on end, without anyone to speak to or interact with soon became quite lonely and very difficult to stay motivated to continue. I would cycle all day in manic and stressful road conditions to arrive to a city each night completely choked with people, cars, rickshaws, camels and all sorts! It would often take me several hours to find a hotel, as I wasn’t really on any tourist trail of note. Once finding the hotel I’d often be so exhausted I would just collapse to sleep after ordering in room service, not having the energy to battle back in to the city for a restaurant. This was a real shame as I feel I missed out on the culture and food the country is famous for. Next time I go to India it won’t be on a bike! Another country I found difficult was at the end of my trip – Australia. I somewhat underestimated the giant scale of this continent-sized country. What I thought was going to be a nice relaxed roll to a victorious end of the trip turned in to the most grueling section of the entire journey! Western Australia is huge and the middle has nothing. Nothing at all! 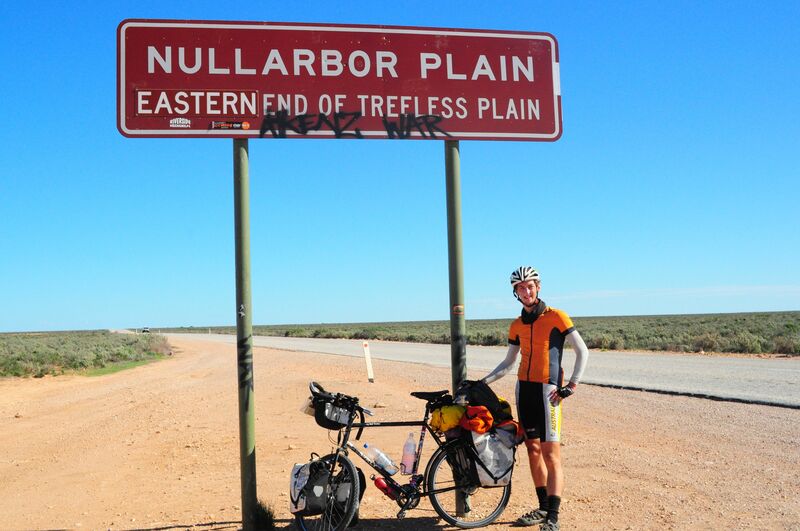 Crossing the Nullarbor desert I cycled 1,200km between towns at one point. Huge headwinds, endless roads and not really seeing anyone for days made this a big challenge. I really thought there was no way to make it, as looking at the map each day I seemed to be making no progress, despite cycling from sunrise to sunset for weeks at a time. Eventually I made it across the middle and back towards civilization, but the distances were still massive as I trudged the final section towards Sydney. Australia did have some really high points especially meeting people in the towns I passed. People related to the trip and were generous and kind in helping me along the way but there were days camped in my tent, miles from anywhere, when I wondered if I’d ever make it! What are some of the highlights and favourite memories from this trip? Trekking to Everest Base camp in Nepal. Dragon boating on Singapore river on my birthday. A month staying on farms and with people we met in Iran. Cycling through the European Alps. Battling through snow in the Australian mountains. What are some of the best things to come out of this trip, as in opportunities or experiences that you would not have encountered otherwise? Being on a bike opened up all kinds of opportunities and experiences that I don’t think would have happened if backpacking. 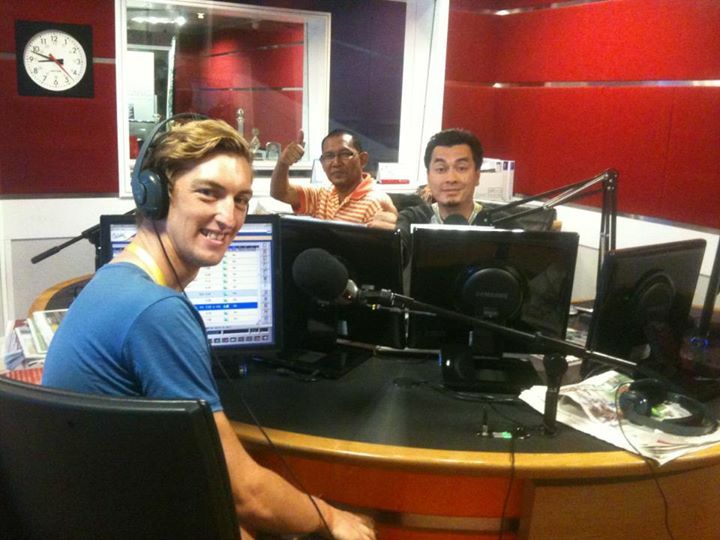 I did a radio interview to 2.5 million people in Malaysia, stayed in one of Singapore’s most iconic skyscrapers and countless invitations in to people’s homes to stay and eat with locals throughout the trip. What are top five countries you cycled through, and what made them special? Iran: Iran was not necessarily the most fun country of the trip but it was certainly one of the most interesting and one of the richest travel experiences I’ve ever had. The culture and history are so different to anything that you would experience in Europe and the people are simple incredible. Nepal: Some of the most magnificent mountains on the planet and amazing culture dotted throughout the small mountain villages. Switzerland: Spectacular roads to cycle through the Alps. Probably some of the best cycling in the world. Georgia: I was pleasantly surprised cycling through rural Georgia, not really knowing what to expect. The roads were terrible and in places it felt like travelling back in time but the people were great and mountain scenery breathtaking. Malaysia: After the craziness of the more touristy countries of South East Asia, Malaysia was nice rest bite. It had everything from gorgeous tropical islands, rainforest, mountains and, most importantly, amazing food! You took the odd flight or boat and break. What were these and why did they occur? I enjoyed the challenge of the cycling but I was also trying to fully experience the countries I was travelling through. I would go, sometimes days, out of my way to see what each country was known for whether is was mosques in the Middle East, temples in Southeast Asia or mountains or tropical islands (these needed boats though). 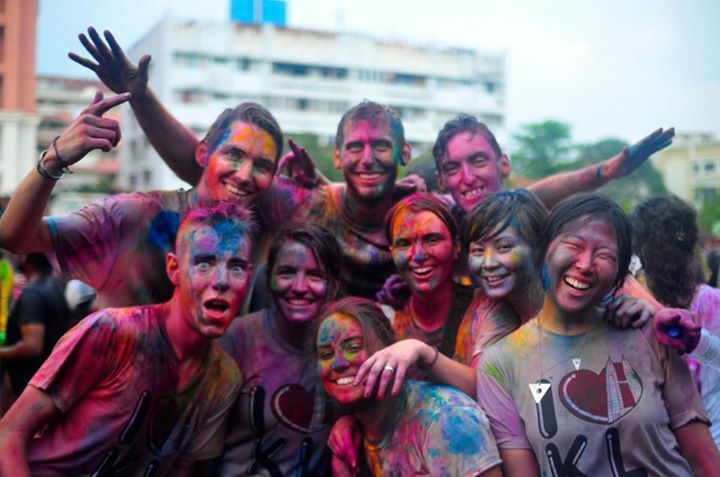 I was also lucky enough to coincide with various festivals around the world from Diwali and Tihar in India and Nepal, Holi – the festival of colours – in Malaysia to Tết (Chinese New Year) in Vietnam. Usually travel was difficult during these times anyway so I would stop and try to get involved where ever I was. A year is a long time to spend away from your friends and family but I was lucky to have several visitors along the way from my mum flying out to Thailand to my friends coming out to Indonesia. It was good to have breaks from the constant movement, the visits worked as holidays from the trip. You have cycled through some countries less-travelled. Which of these places surprised or impressed you the most? Looking back on the trip it was often the less-travelled countries that provided the richest experiences. You get a real sense of adventure and exploration when you travel out of reach of the backpacker scene or lonely planet guidebook recommendations. Particularly when on a bike you end up in all sorts of less-travelled places. Needing to find places to stay in tiny remote villages or communities, who may never have seen tourists before. The results can be great as people club together to help you out; where there are no hotels it was common to be invited to stay and eat in people’s homes. This to me is what traveling and exploring should be all about. Were you apprehensive at all to cycle through Iran? Did you do anything specific to prepare for this leg of the trip? As I got closer and closer to Iran I did become a little nervous. Less than a year before I was there the British Embassy had been attacked and burnt down and the media was full of other negative news stories. The British FCO advice stated: “Do not travel to any part of the country under any circumstances”. Having read books and blogs by people who had travelled to Iran however, particularly cyclists, the story they painted couldn’t have been more different. They all spoke of the great hospitality and kindness of the Iranian people. As I cycled East I met many cyclist coming West, who had been through Iran, and couldn’t sing higher praising of it. “The best country to cycle in the world”. So in the end I decided to go for it. 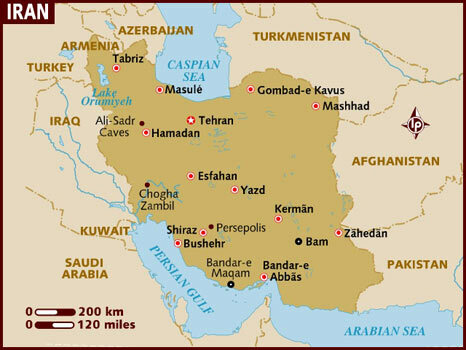 How much time did you spend in Iran, and what did you do there? I spent one month in Iran cycling from the North border with Armenia, down the spine of the country, to Bandar Abbas on the Persian Gulf. In the cities and towns of Iran we would stay with locals (through Couchsurfing or people we had met along the way), visit the traditional bazaars (still in real use), visit mosques and tour the impressive Islamic architecture, such as Imam Square in Isfahan. It was an interesting place to people watch, as the culture is obviously different to in the West. The great thing was that people would come and speak to you or offer to show you around their favourite places in the cities, so a simple walk to the shops could turn into drinking tea with a group of men on a street corner listening to stories of the city. The main positive of being in the cities though was a chance to rest up from the long days cycling through desert or mountains and eating as much as possible! What were the costs involved in travelling through Iran for this amount of time? Well, travelling in Iran is cheap, for lots of reasons. The week before I arrived the Iranian Rial, under pressure from the various sanctions against the country, crashed and fell 50% against the dollar. This made things incredibly cheap. You could eat a good meal for $1 or stay in a decent hotel for $8. The great thing was you never felt out of pocket as a tourist either. You paid the same as locals and there were no tourist-inflated prices, as you’d see in the majority of countries with developed tourism. What are the people of Iran like? 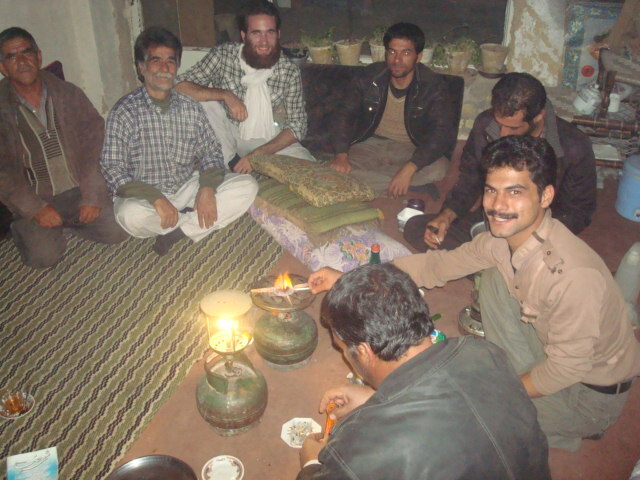 All of the people I met in Iran were very friendly and showed incredible hospitality. As a matter of course most people we met would invite us to stay in their home and offer to help out in any way they could. Cars who passed us on the road would stop to see if we were okay, offer us food and water. I don’t think we would have made it across the more barren regions without this help from the people we met – they really went out of their way to do anything they could to help us on our way. People in Iran are generally quite religious and within Islam there are suggestions that travellers are “sent by God” and you must help any traveller on their way, but the kindness and hospitality we saw ran far deeper than mere religious compliance, making some real friends along the way. 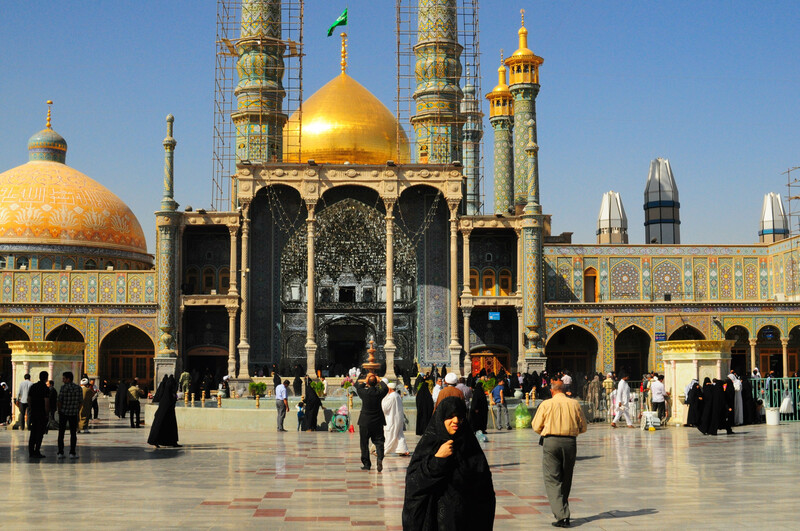 What are the top five must sees and do’s for someone visiting Iran? Iran is home to some of the oldest cities in the world and some of the best offerings of Islamic architecture to be found. 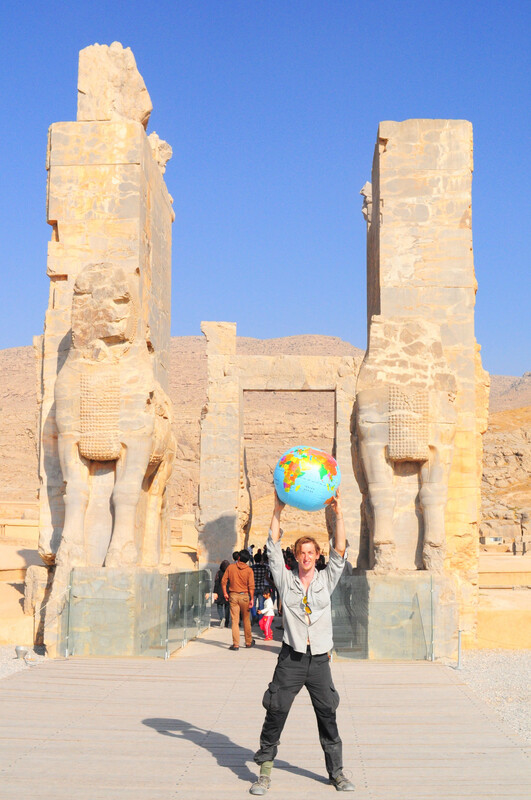 I would include, Isfahan, Shiraz, Yazd and Tabriz, on the ‘must-see’ list, but I had equally great experiences in the rural areas, sleeping in farmhouses and sharing food and stories with locals. What advice would you give to people wishing to travel to Iran? There are many pros and cons to travelling in Iran. It has a great depth of culture, amazing sights to see and the people are amongst the most hospitable in the world. However, there are of course worries in terms of the political situation, there are definite tensions in the region and you need to follow things closely to assess whether it is a suitable time to go. Iran felt a very safe country to travel but there are things to be aware of: If there is a sign saying no photos: don’t take photos! (You could end up in prison). You are in a Muslim country so conservative clothing is appropriate and for women a requirement (including head-scarf). The country felt so safe in fact that I really found myself letting my usual travel defenses down: People would approach you to offer you a tour of the city, an invitation for a drink or place to stay – in other countries your first thought may, unfortunately, be of typical scams against travellers but in Iran not so. People were genuinely interested in showing off their city or just having the chance to chat to a foreigner, these exchanges would often end in going for a drink or a meal and when I got up to pay I’d discover they had already taken care of the bill and would refuse any offer of payment. You’ve now completed 21,000km and have returned to your native England. How do you feel? In hindsight, how did the trip compare to the expectations you had prior to departing? What have you learned from this trip? I guess the whole point of the trip, or any adventure, was not knowing what to expect. Without any expectations you can let go of any preconceptions and just let the trip take you where it goes and be happy with that. It was a great experience and one that will certainly change how I look at travelling in the future. As for what I’ve learned: You can achieve anything, so think big! What is your best advice for anyone wishing to do a long distance cycle similar to yours? The best piece of advice I could give to anyone is to just go and do it! It’s easy to come up with a long list of reasons or excuses not to: “I’m not fit enough”, “I don’t have enough money”, “I can’t take a break from my job”, “Won’t it be dangerous?”. There are no magic answers to solve these issues but actually none of them really mater in the end; you set off and they are gone. Whether you have researched every inch of your trip or are just winging it as you go, you’ll get there in the end. Sometimes you have to take the risk and see where it leads you. I would like to enter the Paris-Brest-Paris 80 hour endurance cycle and some overland exploring of Africa is definitely somewhere on my list, as its the only continent I’ve not yet visited (other than Antarctica, which will have to wait as it is super expensive!). A huge thank you to my friend Des for sharing so much amazing information with us. Read more about his adventures here!